Was Bölzer’s Hero inspired by Vangelis? 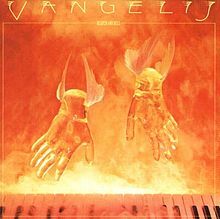 Vangelis‘ third studio album Heaven And Hell greatly contributed to popular and, as it turns out, underground consciousness; ‘Movement 3‘ is the immortal theme to Carl Sagan’s Cosmos, while the liturgical ‘12 O’ Clock‘ is the introduction used by Pagan Altar on their eponymous classic. Opener ‘Bacchanale‘, however, reveals textures that are strikingly similar to what Bölzer attempted on their debut full-length Hero. The Roman Bacchanalia and its precursor the Greek Dionysia were festivals dedicated to Bacchus and Dionysus, respectively, both the same God of fertility, wine-making and revelry. Versions passed down the ages evoke images of unbridled excess and a tide to wash away the difference between slave and citizen as both came together to celebrate the amoral, animal aspect of existence. Vangelis adeptly captured this aspect – exaggerated, apocryphal, or otherwise – on ‘Bacchanale‘. The album Heaven And Hell itself is a two-part suite, presented as Heaven and Hell individually, and with all the tonal flourishes and recessions that one would expect from such a thematic division. ‘Bacchanale‘ is a riotous assemblage of colors, centered around an exotic, Byzantine-like motif; augmented notes shadowed by mixed choirs create a musical landscape of wide, bright-sounding intervals which Vangelis escalates relentlessly to an optimistic apogee. It is a sensuous vibe and a libation to the regenerative qualities of nature, pregnant with all that is insinuated by such a premise. I will not use this space to discuss Bölzer‘s virtues or lack thereof as a metal band, as that subject has long since stopped being of interest. But is any purported influence of Vangelis on Hero legitimate or is it a simple case of misattribution? 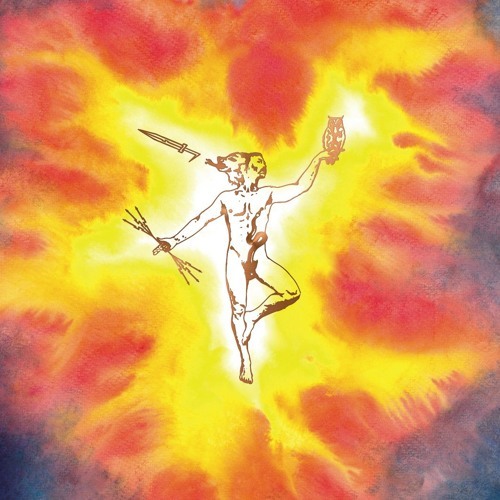 That the cover art on Hero uses approximately the same color design as Heaven And Hell is probably a coincidence, but Hero also seems explicitly structured around the kind of augmented chord progressions and vocal cadences as ‘Bacchanale‘; being a metal band, Bölzer inject a healthy amount of dissonance and minor notes into their melodies, but the core proposition of movement heard here remains the musky, ambient component found in Vangelis‘ neoclassical repertoire. This entry was posted in Ambient and tagged Bolzer, heaven and hell, hero, vangelis. Bookmark the permalink.